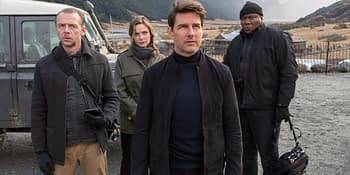 Mission: Impossible – Fallout continues the upward trend of the Mission: Impossible movies by featuring stunning action set pieces and an excellent story. 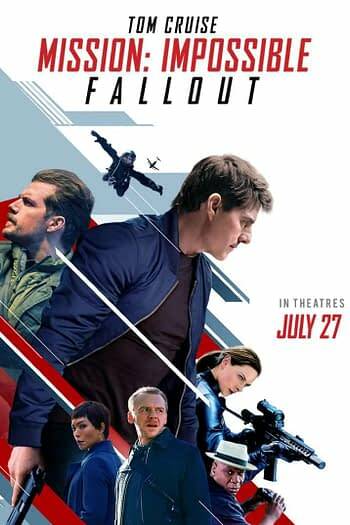 The Mission: Impossible TV series always had a strong focus on teams, but ever since the entire team was killed off in the first movie, the focus has been on Ethan Hunt (Tom Cruise). While the first entry is a classic, it only seemed to get worse with the second. However, by the time the third movie came along, they were more willing to bring on supporting players including the first appearance of Benji Dunn (Simon Pegg). Then the fourth movie arrived, and it was like they completely changed genres. They embraced the team dynamic entirely, and the franchise became better for it. This sixth entry leans in on that even more and is easily the strongest in the series so far. Director Christopher McQuarrie didn’t want to come back after directing 2015’s Rogue Nation, but Paramount Pictures and Cruise were able to convince him to return. It was a good thing, because McQuarrie has found a way to amp up the action scenes while also realizing that these supporting players are what set this series apart from the Bournes or the Bonds (the latter of which tend to waste the talents of the supporting players). For Fallout McQuarrie brings back the fantastic Isla Faust (Rebecca Ferguson), Ethan’s wife Julia (Michelle Monaghan), and new female characters as well. We’re missing Brandt (Jeremy Renner) because Renner was off filming the Avengers movies at the time, but there are plenty of awesome people here to pick up the slack. The marketing has been playing up the absolutely insane action scenes, and they are rather spectacular. They are also varied, which is nice. This isn’t just one car crash after another — it manages to cover all the bases of action movies. The fights are brutal and the stakes are clear, so we understand what happens if the bad guys win. We get plenty of character beats, and Henry Cavill‘s Augustus Walker is a welcome addition to the team as somewhat of an antithesis to Hunt. That’s not to say there aren’t flaws, but they are at most nitpicky. It runs a little long, but you don’t feel that until you have to stand up after the movie ends. It’s a little too obsessed with double-crosses and backstabbing (there might be one too many by the end), but it doesn’t drag the movie down too much. Mission: Impossible – Fallout isn’t a perfect movie, but it’s about as close to Mad Max: Fury Road quality as an action movie has come in a long time. This series continues to get better, and it’s been extremely entertaining watching an action series like this find itself in its recent entries.